One year ago Sikorsky Aircraft Corporation committed to a bold course of action equipping all new commercial aircraft with state-of-the-art Terrain Avoidance Warning System (TAWS) and Cockpit Voice Recorder (CVR) devices. This position reflects a fundamental Sikorsky Value: Safety. Today, we are delighted to offer a Terrain Avoidance Warning System (TAWS) and Cockpit Voice Recorder (CVR) retrofit program to all S-76 aircraft built prior to 2005. Sikorsky is taking this action because Controlled Flight Into Terrain (CFIT) remains one of the leading causes of helicopter accidents, even for an aircraft with an excellent safety record like the S-76. Outfitting of fixed wing aircraft with a TAWS device has reduced the occurrence of CFIT to near elimination. Sikorsky believes that our customers deserve the same state-of-the-art technology in their helicopters. 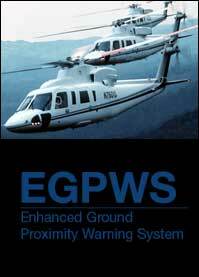 Enhanced Ground Proximity Warning System (EGPWS)  Produced by the Honeywell Corporation this TAWS alerts aircrew of impending terrain and obstacle danger to flight. This system has to date saved 30 aircraft, their crews, and passengers. A recent “save” was a helicopter. Cockpit Voice Recorder (CVR)  A product of Penny and Giles Aerospace, Ltd. the CVR records not only the vocal exchange of the aircrew but also aircraft sounds and noises that can assist reviewers in analyzing what has occurred in the aircraft. While normally used retrospectively for accident investigations it is also useful for air crew training and Cockpit Resource Management. Flight Data Recorder (FDR)  Penny and Giles also manufactures this device that like the CVR stores data on many aircraft operating parameters. The FDR has the added value of permitting information downloads that allow the maintenance and technical staff to analyze the condition of the aircraft and its components enhancing maintenance, quality management and thereby safety. Alone or combined these devices will enhance the safety and quality of your flight operations in the S-76. Sikorsky through its affiliate Helicopter Support, Inc. (HSI) is teaming with Keystone Helicopter to provide a “package” to make the acquisition and installation of these kits easier. The package of each of these devices can be custom tailored to your aircraft needs to include the equipment, harnesses, instruction and installation at your location or at Keystone’s facilities in Pennsylvania. Training of your flight crews and maintenance technicians is available through Keystone or as an enhancement from our associate Flight Safety International. Special pricing has been developed for the kits to assist in you procurement of the devices. Sikorsky strongly recommends that S-76 owner/operators update the safety of their aircraft. To learn more about this safety initiative contact PlaneSayling Aviation. We look forward to working together to enhance safe operations, prevent accidents and foster quality aviation management practices. All Aircraft Specifications are Subject to Verification Upon Inspection. Availability Subject to Prior Sale, Lease, or Withdrawal From Market Without Notice. Copyright © 2009-2019 PlaneSayling Aviation Limited. Some images Copyright Sikorsky Aircraft Corporation. All rights reserved. 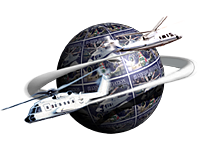 Winged S and Design® is a registered trademark of Sikorsky Aircraft Corporation. Used with permission.